The next time you go camping outdoors, why not share the adventure with a friend or loved one? A two-person tent doesn’t have to be cramped or heavy. Lightweight, durable and spacious two-person tents are a fun way for two to camp together. Our favorite is theSundome 2-Person Tent.This tent offers plenty of ventilation without sacrificing protection from rain and wind. In fact, the Sundome is up to 33% more rain resistant than many similarly-sized tents. At seven by five feet this tent has enough room for two people and gear without feeling cramped. The tent is four feet tall which allows for easy movement inside. 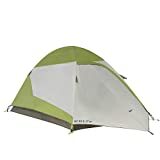 Kelty’s Grand Mesa 2 Tent is another excellent option. This is a three-season tent, so you’ll want to avoid harsh winter, but it works great for spring, summer and fall. The Grand Mesa is easy to transport with the lightweight design (only four pounds) and included Stuff Sack. Setup is equally easy, even if you’re not a master outdoorsman. Optional No See Um mesh roof lets you stargaze on warm summer nights. You and your tentmate will both have plenty of room in this five foot by six foot dome tent. While the tent isn’t tough enough for harsh winter weather, it’s perfect for summer backpacking and backyard campouts. Setup is easy thanks to a quick-clip system and ring-and-pin corner locks. A quarter fly keeps you dry during wet weather but can be removed when you want to watch the clouds or stars. Made with pride in the USA, the Happy Camper isn’t quite as durable as the top picks on our list, but there’s still a lot of like here. The sturdy nylon exterior will keep you dry. The tent is a roomy 6.25’ by 4.8’ with an interior height of 3.5’. Great for light camping, hiking, outdoor festivals and other casual camping uses. While not the most impressive tent on our list, the Techcell 2 Person Instant Tent is a rock-solid value. Windproof, rainproof and warm, you can use this tent in everything but the most severe winter conditions. Easily holds two grown adults. 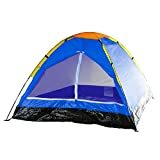 When shopping for the best 2 man tent, you’ll want to consider all the general characteristics such as tent weight, price, materials, features and more. How are you going to use your tent? When shopping for a new tent, consider when and where you’ll use it. Will you use it the snowy and rainy seasons? Or is this a tent more for summer nights and backyard campouts? Plus, you’ll also want to consider factors which are specific to two-person tents. Does the tent provide enough space for two people? Some two-person tents are a bit cramped. While perfect for a couple, camping with friends might get a little awkward. Here are the categories you’ll want to consider when searching for the best two person tent. Tent weight is an issue if you’re backpacking, but it’s not as important for car camping or backyard campouts. Most 2 man tents weigh between five and 10 pounds. Lightweight tents are a bit more likely to tear than heavier tents. But the lightweight 2 person tents are typically still very strong. You want a tent which can withstand rain and snow. 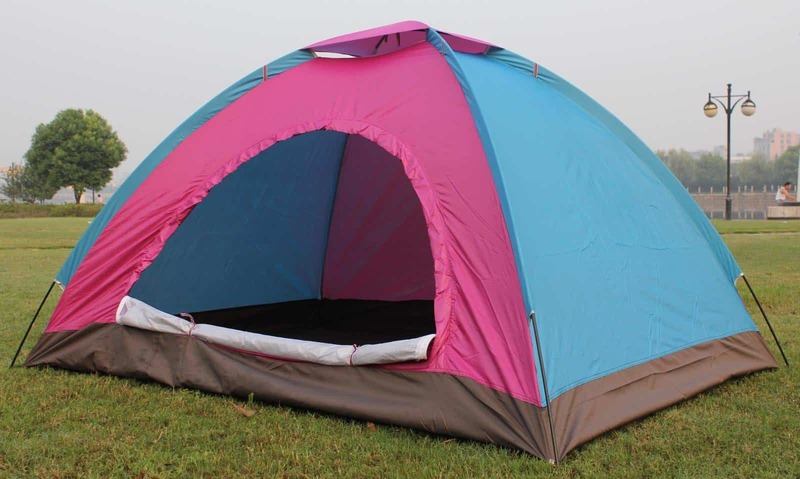 The best 2 person tents available today are made from nylon and polyester. A coating of silicone or polyurethane is commonly added to help increase water resistant properties. While any combination of materials and coating above will likely keep you dry, the absolute best water-resistant combo is usually silicone-coated nylon. Tents provide more than just shelter. Today’s tents have a variety of cool features which generally make camping life easier. Many tents have a variety of pockets sewn inside. These can be useful for holding just about everything from dirty clothing to a canteen or any other small item. Some tents have a small vestibule which separates the entry way from the main part of the tent. You can use the vestibule to remove muddy boots and other gear you don’t want to bring into the sleeping area. Some vestibules even include a drainage system. You probably also want some cloth/Velcro hooks. This allows you to hang a light or lantern inside your tent. Of course, you’ll only want to hang battery-powered lights. Open flames should never be used inside a tent. Proper ventilation will help you breathe easy when you’re inside your tent. Tents use mesh to allow outdoor air in while still keeping bugs at bay. Typically, a tent will have a mesh door, windows and possibly a skylight. Each mesh area will also have a second opaque covering so you can make the tent completely waterproof. But when the weather is nice you can allow fresh air to flow through your tent. Plus, on nice nights a mesh roof lets you stargaze. This is a separate cover which fits over the tent roof. A rainfly provides extra protection from water and dew. You can also attach the rainfly when you want the inside of the tent to be warmer. These are loops found on the outside of the tent where you can attach guy lines. Guy lines hold down rainflies and other fabric which can flap around in high winds. The tent poles are usually the heaviest part of the tent. If you’ll be carrying the tent in a backpack, you’ll want the lightest poles possible. If you’re only carrying the tent a short distance then pole weight isn’t as important. Most tents today are freestanding. This means they require no stakes during the setup process. You can assemble the tent, easily move it to the best spot and then stake it in place. Plus, a freestanding tent is easier to keep clean. You can shake the dirt away easily before taking the tent down. Poles and clips are usually used together. Instead of threading a pole through a long sleeve, you clip the pole to the tent. The combination of poles and clips helps balance strength, ease of use and ventilation. Poles are usually made of either aluminum or fiberglass. Aluminum poles are stronger, but fiberglass is lighter. If you’re a backpacker, you’ll probably want fiberglass. Larger tents tend to benefit from stronger aluminum poles. Outdoor camping and adventure can be a wonderful activity for two. Stay comfortable, cool and dry with the best two person tent. Our top choice is the Sundome 2 person tent. 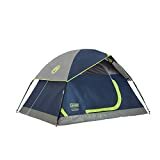 Rain-resistant, lightweight and with plenty of ventilation, this tent is the best choice for most people shopping for a tent for two. 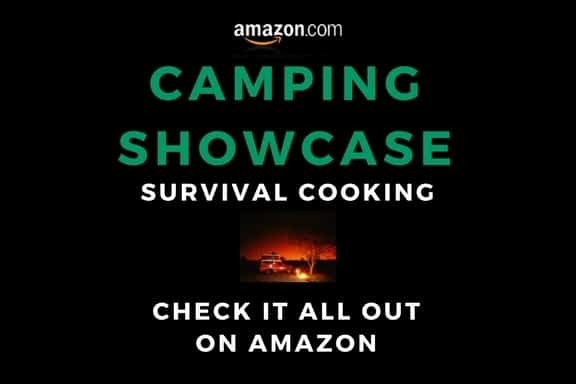 We’re sure you and your camping buddy will love it!